Residents and Elders at St. Paul’s in Greenville, PA, benefit throughout the year from the collaboration that St. Paul’s has with Thiel College. The Joining Generations organization has three different components: Internships, Academics and Student Service. The team at St. In 2014, the Oklahoma State Department of Health (OSDH) awarded The Eden Alternative grant dollars to support Oklahoma’s reduction of antipsychotic drug use through the delivery of Dementia Beyond Drugs training. Imagine that an Elder is at the end-of-life and surrounding her bedside are 4-6 people tenderly singing songs that are meaningful to her. Their voices are creating an environment that is providing peace and tranquility for her and the care partners who are with her at that time. Life is full of choices, and making choices can be really hard at times. For me, going to Cheesecake Factory to eat is always a challenge….so many great choices on the menu! But in the big scheme of things, choosing a menu item doesn’t mean a lot and really only affects me. As you walk into each of the three neighborhoods you will get the feeling that you are in a home filled with genuine loving relationships. 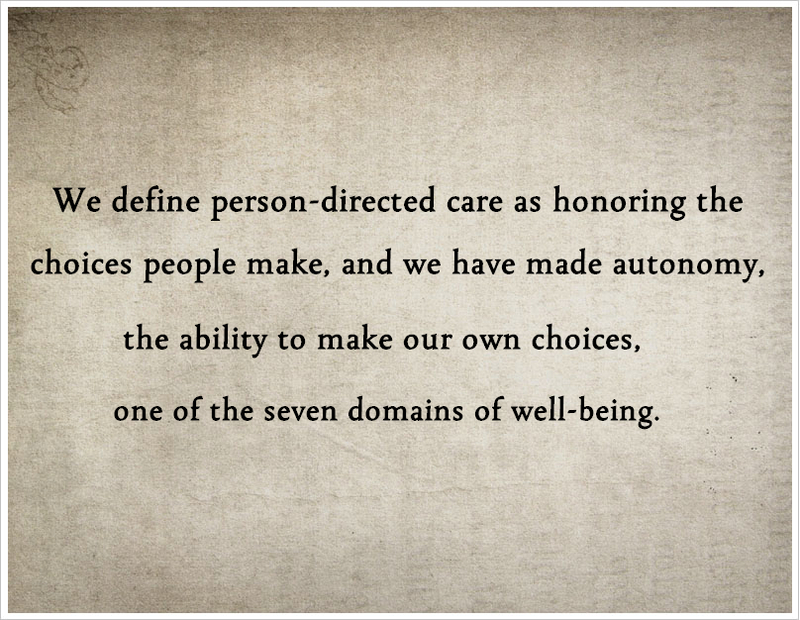 What do you believe creates a great healing experience for someone who needs short-term care?